The most recent contestant, Swami Agnivesh, who recently entered the house of Bigg Boss 5 on 9th November, made a surprise exit from the show on 11th November. When the 73 year old entered the house, the other contestants were told that he has entered the house as a contestant, but later it was revealed that he was not a contestant and just a visitor. As soon as Agnivesh had come out of the house he had said that he had entered the house as a guest and not as a contestant. Swami even said that he had clarified to the channel people that he would not be staying for long in the house. Even when Pooja Bedi had received Swami in the house, the actress asked if he was a guest or a contestant. Bigg Boss had then said that he had come here to stay as a contestant. 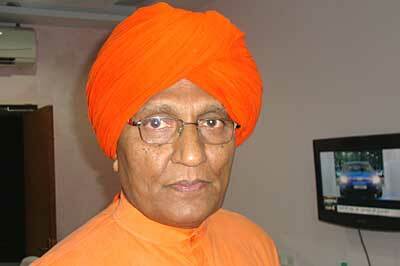 On the other hand Agnivesh clarified that his appointments and engagements had forced him to leave the house early. During his stay in the house of Bigg Boss, the other housemates did not indulge in any fights and arguments. The whole house was for a while converted in to a spiritual centre due to the presence of a saintly figure.